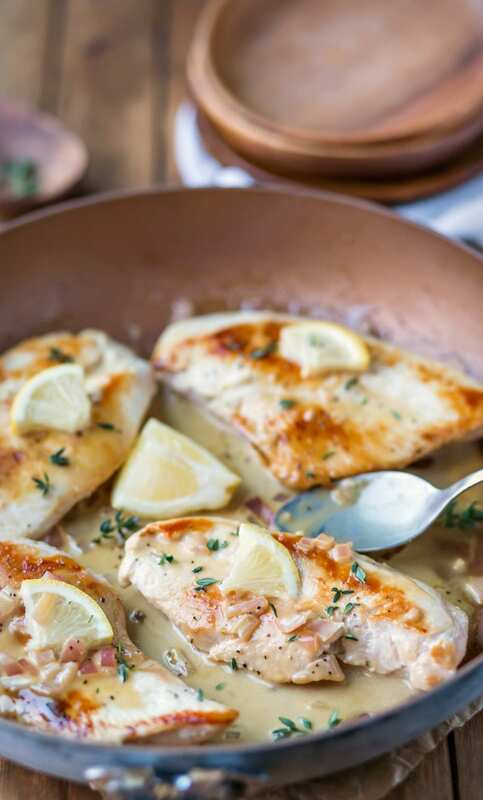 One skillet creamy lemon garlic chicken is an easy, tasty weeknight chicken dinner recipe that’s ready in just 30 minutes. It’s the most wonderful time of the year, and holiday everything is in full-swing. We’re making all sorts of cookies (I have a recipe I’m so excited to share coming up soon), finishing up Christmas shopping, and just generally getting into the holiday spirit. But at the end of the day, we still have to eat dinner. This time of year, maybe more than any other, it’s nice to have a quick dinner recipe at the end of a long day. 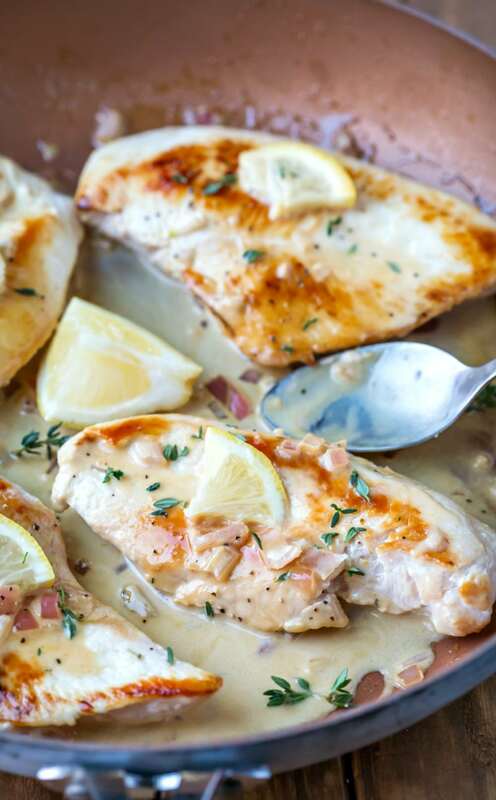 This one skillet creamy lemon garlic chicken is a super easy, super tasty dinner recipe. It’s ready in about 30 minutes, which makes it perfect for weeknights. 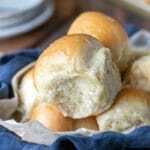 I like to pair this chicken recipe with a green salad and some whole grain bread to keep things simple and easy. 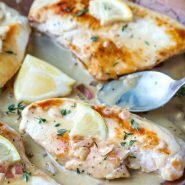 If you’ve tried this one skillet creamy lemon garlic chicken recipe, don’t forget to rate the recipe and leave me a comment below. I love to hear from people who’ve made my recipes! 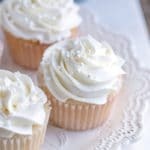 You can SUBSCRIBE to receive my latest recipe newsletters or FOLLOW ME on FACEBOOK, INSTAGRAM and PINTEREST for even more delicious food. 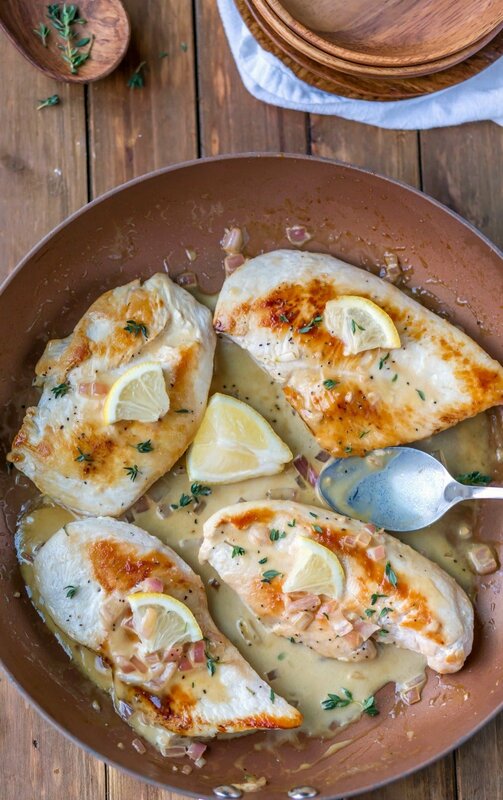 One skillet creamy lemon garlic chicken is an easy one skillet chicken dinner recipe that's ready in about 30 minutes. Using a meat mallet, pound down the chicken breasts to ½-inch thickness. Add chicken, and cook until chicken reaches 165 F.
Remove chicken to a plate, and tent with foil to keep warm. Whisk broth, white wine, lemon juice, garlic, and shallots into now empty skillet, scraping up any browned bits. Simmer sauce until it reduces down to about 1/2 cup, about 10-15 minutes. Remove from heat, and whisk in butter and cream. Return chicken to pan, and spoon sauce over the chicken. Sprinkle with fresh thyme just before serving. *If you can't find a shallot, substitute 1/4 cup finely diced red onion. 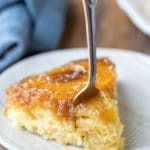 Easy and tasty! This one is a keeper. Thanks! I’m sorry about that! Here is the link to the crock pot balsamic beef recipe.